I remember one sunny, warm day when I was a kid rushing through the bank with my mom in a hurried pace to finish up her errands. As she was standing at the counter the bank teller quietly admired her jewelry. “That’s a really nice necklace you have there,” she said with a grin. My mom looked down quickly forgetting what she was wearing. “Oh this? Ha, ha. My daughter made this for me for Mother’s Day.” My mother forgot to take off the hand painted pendant either my sister or I made for her (I can’t remember which one of us). But, it didn’t phase her and she went back to writing on her piece of paper. “You’re a great mom to wear that out,” the bank teller offered. “Thanks. I don’t mind wearing it,” my mother returned. Now it is my turn to enjoy handmade cards and gifts from my girls. Whether they get a little help from their teacher, or their daddy it doesn’t matter. I love every single gift they make. (I am truly a sucker for a tiny hand print!) My heart melts when I see them practically bursting with excitement in anticipation of my joy filled response to their gifts. I could care less about getting a spa day (although don’t take that completely off the table), or a dinner out at a restaurant. These gifts made by their tiny hands are the best gifts of all because they are made with love and given with pure generosity. Plus, there are only a limited number of hand made unique gifts I’ll get for Mother’s Day. One day when they are too busy to shop, they’ll just send a note with some flowers attached. The poem I still enjoy was included on a craft sent home from my girls’ first nursery school. My girls were so little then, so of course I cried when I read it. I admit it still gets me a little teary now. I could not find a source, or author for either of these poems, but they are scattered all over the Internet on various blogs and Pinterest pages. You can easily copy these and print to include with your own gifts this year. I know there are thousands of blogs right now offering a list of gifts that moms REALLY want for Mother’s Day. I can assure you the only gift any mother wants on Mother’s Day (or any day of the year) is to hear Thank You. And, maybe someone else to do the dishes for her. What is your most cherished Mother’s Day gift given, or received? Super cute printables! I also love those homemade surprises that the kids work on for Mother’s Day! They are the best kind of gifts to get. My girls decorate plates for me every year. I am going to need to start a plate wall soon. So much fun to have their work! That’s a really great idea!! The plates and having them on the wall! This is my first mothers day, but I will cherish the handmade gifts the most! Happy first Mother’s Day Lauren!! Enjoy every second! I’m not a mom, but I think that handmade gifts form your child have to be the best. THe most sentimental and the most memorable! Love that printable, too! Awww! I love the poem! My mom loved all the gifts we gave her from art class. Each year, for 12 years, she got a ceramic cat that I made in art. It is fun to see how I grew over time! Aw you are so right. Sometimes the best gifts are those that are handmade! I melt when I see handprints too! Kids can make anything feel like a special gift! Such lovely poems. My favourite gift on mother’s day is the cards. I love to read the sweet lovely things my boys wrote. makes me cry sometimes. Such lovely poems. Some of my favorite gifts are the little hand print ones kids bring home from school. I just love their little hands! A great way to remember how little they were! My son made me a necklace a couple years ago. While it isn’t my first choice, sometimes he will bring it to me and ask me to wear it for the day. I do. He gets the biggest kick out of it. On Mother’s Day my husband always handles all the “work” of the house, and that is my favorite gift, because then I can sit back with my littles and really enjoy their personalities. Time is fleeting, and that is really the best gift I could ask for! So beautiful and sweet! The perfect gift! The handmade gifts are so heartfelt. I’d rather have a handmade gift with a lot of thought and heart than an expensive gift. This is such a precious idea! I’ll have to share this with my friends and family. It would make a wonderful Mother’s Day gift idea! This is my very first mother’s day, but I love handmade gifts. It was a tradition we did with my mom growing up and I’m excited to have my kids do the same for me! My third child was born two days before Mother’s Day. That has definitely been one of the best Mother’s Day gifts I’ve ever received! what cute poems. I have always loved handmade gifts the best – especially from my daughter – the ones she made in school. I love these poems! I cant wait to print off the grandmother ones and use them as part of the kids’ gift. I really enjoyed your post! I remember collecting all the handmade cards my daughter gave me. The one that takes the cake was when one of the cards read ‘You are the QUEER of my World!” Haha! She made this in first grade and it was supposed to say ‘QUEEN’, but she mispelled it. I absolutely love it! Makes me laugh every time I see it! I love making my mum homemade gifts for Mother’s Day, it’s so much more sentimental. 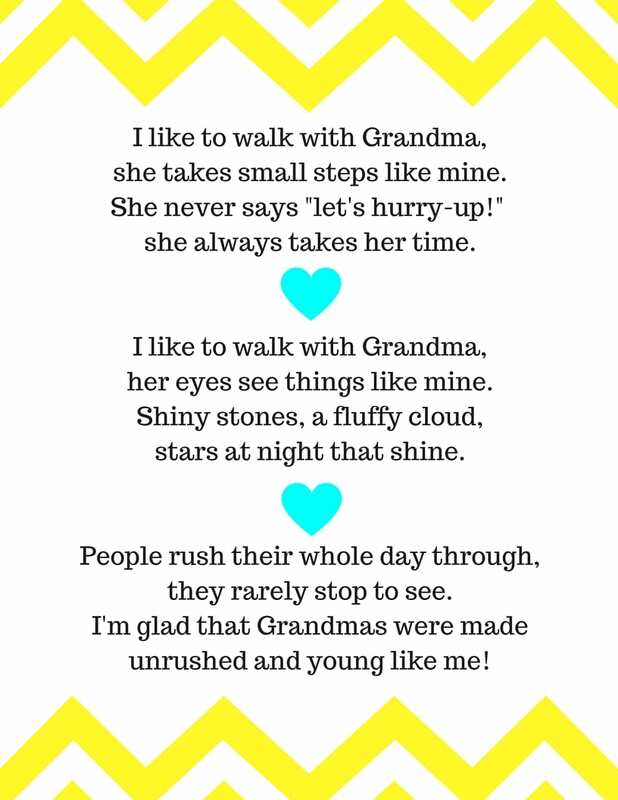 They poem is lovely! 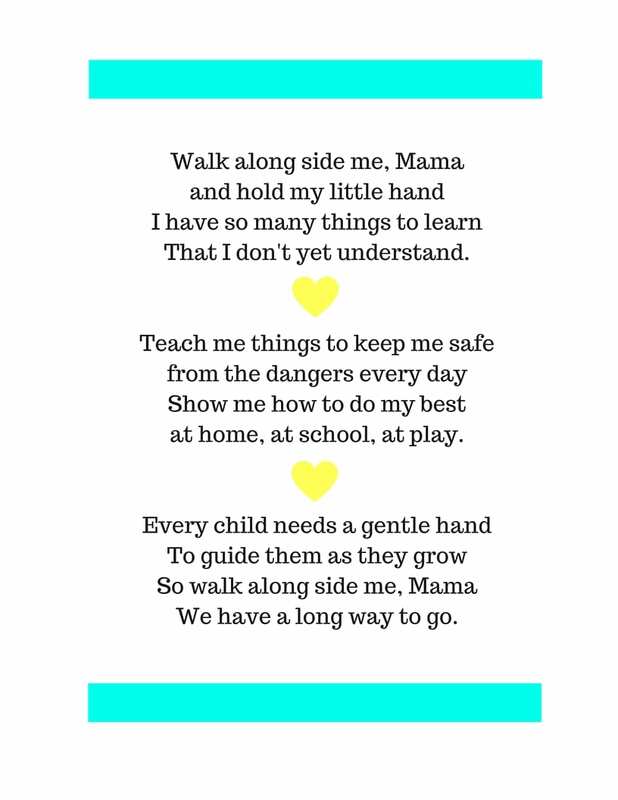 You have no idea how much I cried when I got that poem from my son in preschool. It’s such a sweet poem. I kind of have an idea. 😉 I have two that came home with the same poem. It’s those poems that really nail how short lived their time as little people is. They are only little once. I wear all of my macaroni jewelry with pride because the little ones who made it for me are priceless 🙂 I also make sure to snap a photo of me wearing it beside them so if the piece ends up destroyed we will always have the photo to remind ourselves. I agree, the best gifts are the handmade ones. I’m a teacher, and every year I make a Mother’s Day craft with my class just in case there are moms who are single or for whatever reason won’t be getting anything else for Mother’s Day. That’s a really sweet gesture that I am sure those moms appreciate! I’ve only been a mom for 4 years now (3 Mother’s Days so far) and the best gift I had gotten on my very first mother’s day was a vase my daughter ‘hand-painted’ when she was 5 months old in daycare. I still use the vase to hold my pens & pencils.